Sen. Chuck Grassley has been one of the most consistent Republicans speaking out against rising prescription drug prices. As chairman of the Senate Judiciary Committee, he plans to push legislation this year making it easier for generics to get to market. He's hoping that will add competition and drive down prices. 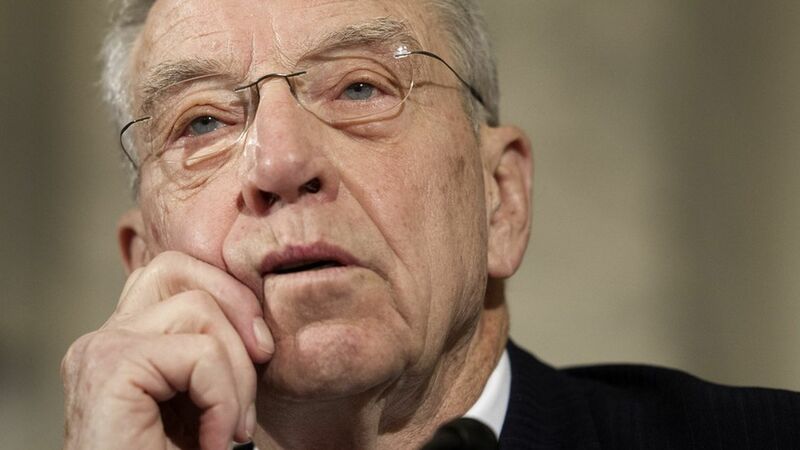 Grassley sees his two bills increasing competition as likely to gain some traction, but he doesn't see the same odds for legislation allowing prescription drugs to be imported from abroad. Drug price legislation could be wrapped into the Obamacare debate if it saves money and helps pay for the replacement, he said. Read more for excerpts from our interview. Crack down on "pay for play," when an off-patent drug pays a generic company to keep it from bringing competition to market. Pass the CREATES Act, which allows a generic drug manufacturer to bring an action to federal court when brand manufacturers are engaging in delay tactics, like withholding information necessary for the generic company to bring their product to market. Allow the importation of drugs from abroad. "I think the first two bills would be the easiest. I wish importation of drugs would be easier, but I've been involved in debates on importation of drugs I'll bet for 20 years. Sometimes they pass the Senate but they never get to the president, sometimes they don't pass the Senate. Because the pharmaceutical industry is so strong politically." Probably not until March or April, when the committee is finished with nominations. If those three policies passed, would they solve the drug price issue? "I don't think so entirely. I think FTC being a little more aggressive would help. I think more oversight by Congress and just public opinion, where you've got like over the last year, we've had so many outstanding examples." Any vehicles for getting the bills passed? "If they saved big amounts of money for the Medicare and Medicaid programs ... then that should be a secondary reason for getting them passed. But it might be the locomotive that brings them along." A Grassley aide said a preliminary analysis showed CREATES saves $2.9 billion over 10 years. That's not pocket change, and lawmakers are always looking for ways to pay for other bills. Do you think some of this could get wrapped into the Obamacare debate? Yes, if it could be used to pay for parts of the replacement. What would you like to see the new administration do about drug prices? Crack down on the way drugs are classified for payment in federal programs. And: "Maybe ... just the bully pulpit of the presidency. Talking about it may do a great deal to help."